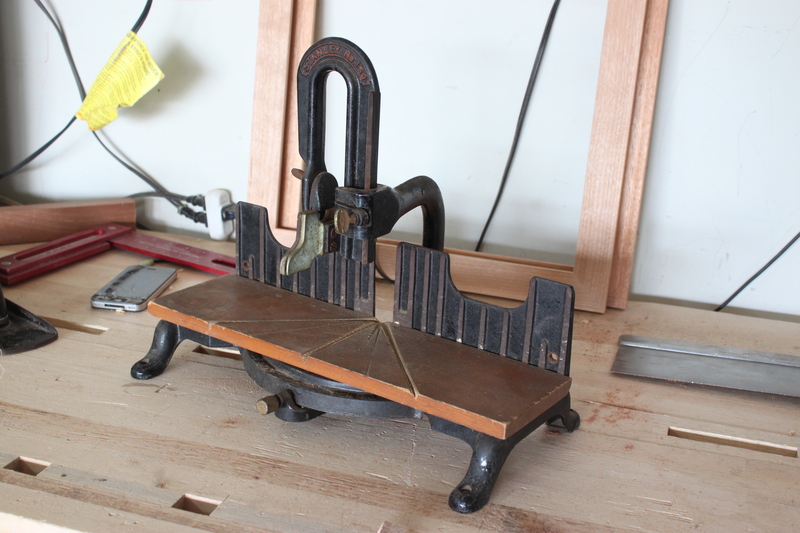 Nice read on the miter box restoration! I did a “gentle” restoration (I didn’t sandblast and repaint the casting) on a Craftsman 3646, which is very similar to the Stanley 150. I have a write-up on WK Fine Tools about it. You should see if he wants to post your write-up of the Stanley 150 here. He likes lots of photos, and yours are certainly good quality, and you write very well. Of course, you start posting stuff there and you’d have to change the name of your blog. I have a Stanley 150 I want to clean up and compare to the Craftsman. At that point, I’ll probably get rid of one of them. Oh, by the way, what did you do for the round wooden bit on the back that protects the saw from cutting into the frame if you go too far? Mine is darn near cut all the way through on the Craftsman. The problem with that is the post doesn’t unscrew like on the Stanley 150. So I’m going to have to turn a round piece, bore a hole in it, then split it in half and glue it on, probably. 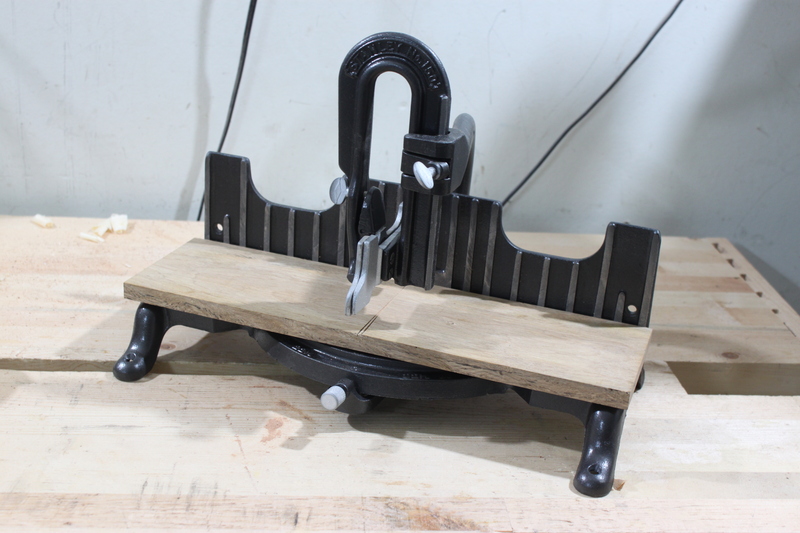 And I apparently have a miter box problem because I was just on Craig’s List TODAY and saw someone listed a Stanley 150 and, for some unknown reason, I sent the guy an e-mail with a low-bid offer on it. I figured if he takes it then I can clean it up and give it to my nephew or keep it for my son to use. Well the first miter box (yeah, ended up getting a second one after I like the results of the first) still had the wooden depth piece still so I was lucky. The second doesn’t have one nor the little metal spring between the guides. I’ll probably use a dowel since I can unscrew them and find a flexible piece of metal for the guides. The sandblaster at work ended up taking a crap so wasn’t able to finish the second miter box and now I am in Yuma, AZ for work until the end of Oct so no woodworking at all for me. Did you end up getting the Stanley 150 on Craig’s List?